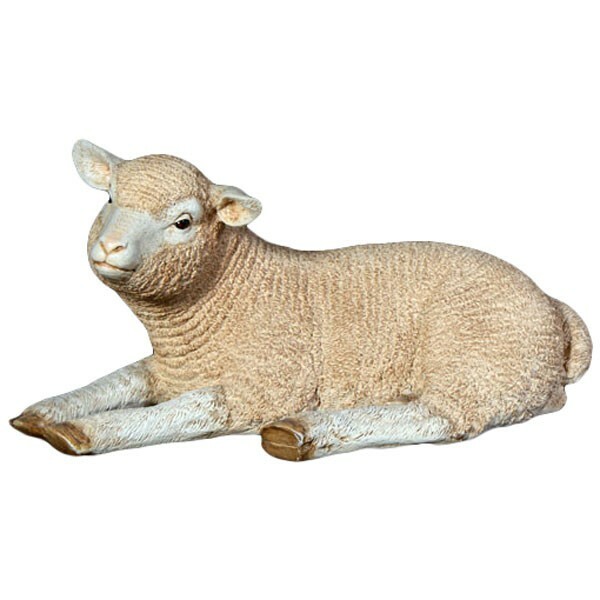 Impressively detailed Merino Lamb figure, Made from polyresin reinforced fibreglass. Realistically hand painted, these ornamental pieces are sure to get a second glance. Ideal for displaying in any room or garden area, will make superb featured displays within shops, themed restaurants, pubs, theatres and animal establishments. Suitable for internal or external use - we recommend a coat of protective clear lacquer or exterior varnish if used outside as over time paint may fade. Will not be affected by frost unless water is allowed to collect inside the item, in which case the expansion of frozen water in to ice may cause splitting.